For over 25 years, the Whitewater Bluegrass Company of Asheville, North Carolina, has captivated audiences throughout the southeast with a blend of bluegrass music, country ballads, mountain swing, and down-home humor. With Whitewater, mountain culture is a celebration of music, song, and dance. Saturday, November 12th, 2011, at 7:30 p.m. the Carter Family Fold in Hiltons, Virginia, will present a concert by the Whitewater Bluegrass Company. Adult admission to the concert is $7, $1 for children 6 to 11, and under age 6 free. With true southern charm and manners, Whitewater's MC, square dance caller, and bass man, "Uncle Ted" White, will put you right at ease. His country wit and solid delivery on the bass make him an audience favorite. The driving rhythm of Bill Byerly's Martin guitar provides the backdrop against which the group's melody of sound is woven. Bill has been a veteran of the Asheville music scene for over 30 years. After playing rock and top 40 music, Bill returned to acoustic music some 24 years ago when he joined Whitewater. These two founding members have brought together some of the finest musicians North Carolina has to offer. With the addition of David Pendley on mandolin, the blend of the Whitewater sound became riveting. Dave played for ten years with Ric-o-Chet on Rebel Records. His distinct chop, paired with impeccable timing, adds to the drive of Whitewater's music. His great ear for harmony and lead singing make Dave a great addition to Whitewater. 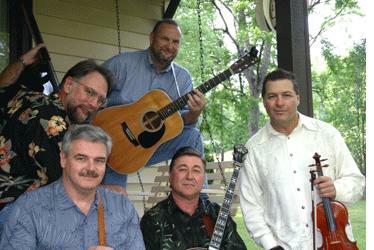 Whitewater Bluegrass Company currently has two CDs out – Still Havin' Fun and Pickin' in the Blueridge. They have also served as the staff band for the first in the DVD series Spirit of the Mountains – the Stories of Uncle Albert Burnett. Don't miss the Whitewater Bluegrass Company at the Carter Fold – and don't forget your dancing shoes cause you'll need them! They'll deliver a solid, hard drivin' evening of some of the best bluegrass music you'll ever hear. Whitewater has been regularly performing at the Fold over the past several years, and they've become an audience favorite. For more info, go to: www.WhiteWaterBluegrassCo.com.